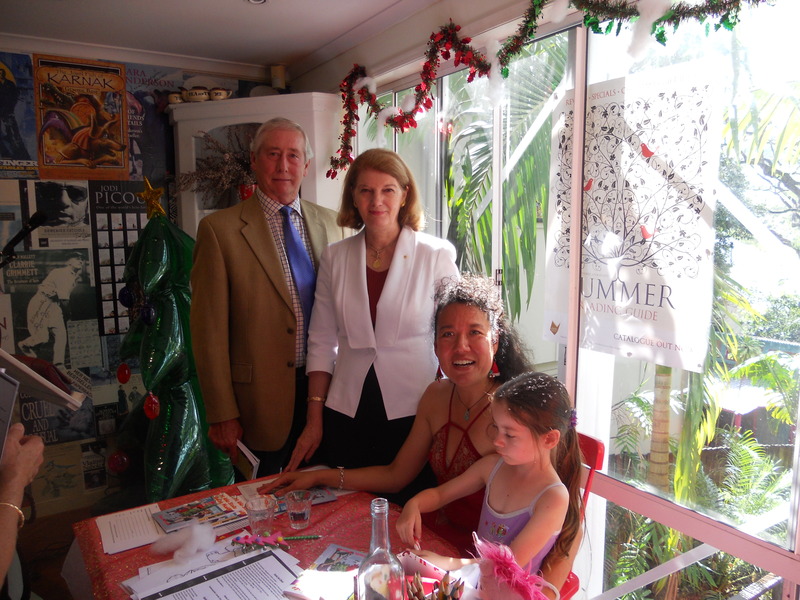 Her Excellency, The Governor of Queensland, Ms Penelope Wensley AC, Patron of Book Links (Queensland) launched the book PS: Who Stole Santa’s Mail at Black Cat Books, in Paddington last Sunday. Dimity is an experienced writer and presenter. 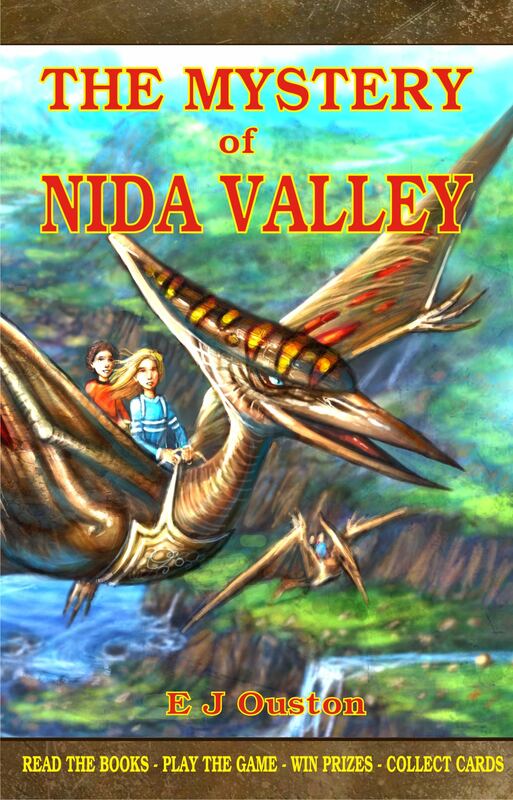 Since completing her formal study in writing, she has had a short story accepted in The NSW School Magazine and won many special mentions, top ten placings, and commendations for her short stories and picture books. 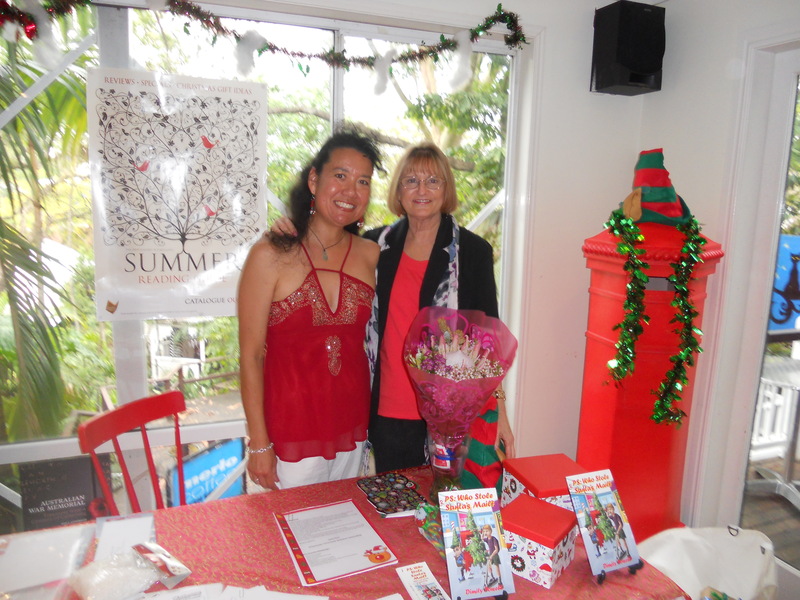 She is an active presenter to children’s groups in schools and libraries. 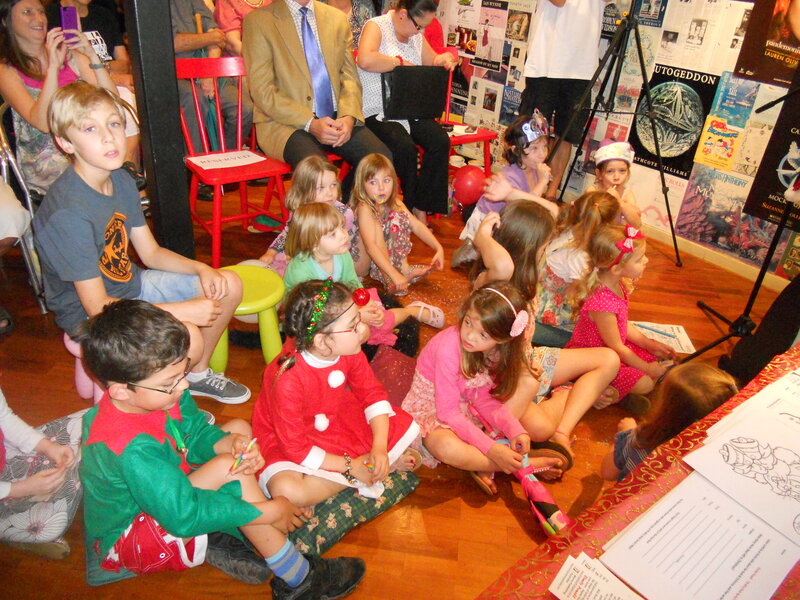 The story has been well received by local children at the schools where Dimity volunteers. Below are some more images of the launch. But if you missed that one, don’t worry, there are more to come. 2. 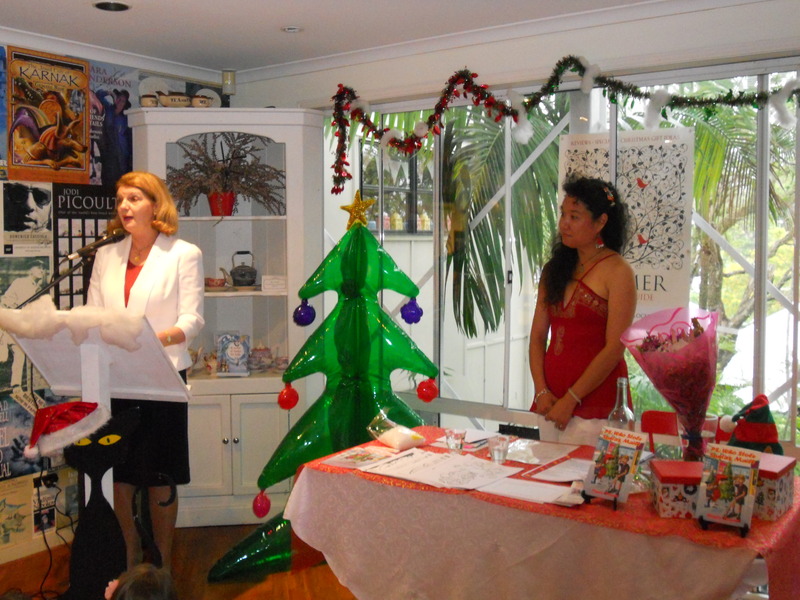 Venue: Marks and Gardner Gallery and Book Shop, 69 Main Western Road North, Mt Tamborine , Gold Coast. author/artist. Date and time: Sunday, 25th November, 10.30 am. 3. Venue: Jungle Cats Family Restaurant & Playcentre 2769 Gold Coast Hwy, Broadbeach, Gold Coast. Meet the Author: Book reading and signing. Date and time: Sunday, 9th December, 2 pm. 4. Venue: Shannon’s Restaurant Coomera Waters, Coomera Gold Coast. Meet the Author: Book reading and signing. Date and time: Sunday, 16th December, 10.30 am. Free event.